Joel “Joe” Lee Isom, 74, of Savoy, Texas, was called home to our Lord on Tuesday, December 4, 2018 at Texoma Medical Center surrounded by his loving family. Joe was born on August 7, 1944 to A.L. and Martha Isom in Morenci, Arizona. Joe graduated from Bells High School in 1962. He was a veteran of the U.S. Navy, serving from 1963 – 1968 and was a Vietnam Veteran. Joe retired from Grumman after 25 years of service. 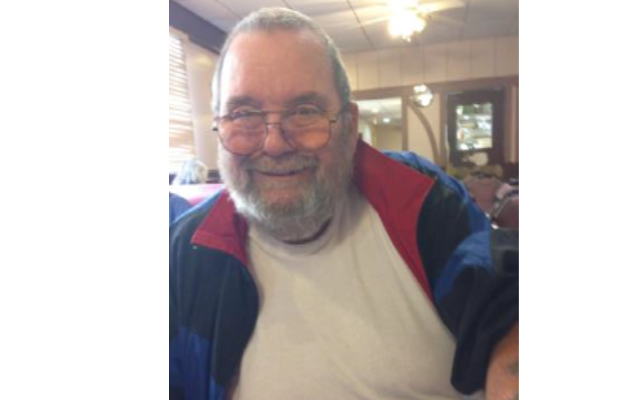 He was a lifelong member of Bells First United Methodist Church. Joe is survived by his beautiful bride of 51 years, Carolyn Sue Pool. He was the proud father of three children: son, Jody Isom, wife Sonya and grandson Andy of Dallas; daughter, Anissa Isom of The Colony; daughter, Krista Isom of Denton; sister, Dolores Pell of Bells; brother-in law, Don Ray Pool of Sadler; sister-in-law, Joyce Collins of College Station; several cousins, nieces, nephews, and lifelong friends. He is preceded in death by his parents A.L & Martha Isom; cousin & dear friend James Henry Watson. Graveside services will be officiated by Pastor Wally Butts on Saturday, December 8th at 2:00 p.m. at Rose Hill Cemetery. Visitation will be held on Friday, December 7th from 6 to 8 p.m. at Mullican-Little Funeral Home in Bells, Texas. My heart is sadden by the news that Joe has passed away. I always enjoyed visiting with Joe and working with him as he served on the City Council of Savoy. May your precious memories give you comfort and God give you the strength for the upcoming days ahead. Know we are praying for you in this time of sorrow. I’m so very sorry to hear about Joe’s passing. All of you are in my thoughts and prayers. Was saddened to hear of your loss, Sue. passing . We will be praying for you all in the following days and weeks . to learn of your loss. Our deepest condolences. Thinking of your family and praying for peace. Love to all. We will miss you Pappy Joe. Love Stephen,Michelle,Meagan, and Gavin. Prayers to the Isom family for comfort. Susie and Family and Dolores and Family I am so sorry about Joe, , but know he is now free from pain and with his Mom and Dad. Thinking about you with Love and in my prayers. To Sue, Deloris and family- we have been friends for many years. We are very sorry for your loss. Joe made this world a better place and will be greatly missed. You are in our thoughts and prayers. Thinking of you at this time of your loss. Joe always was the life of the neighborhood and always enjoyed his humor, when we see him around the house and at the Post Office. He never got those knees fixed, but he’s walking straight now. We’ll always cherish yaws friendship. We miss all our Savoy friends. Sue – Deloris and Family – we are so very sorry for your loss. Joe was a good man. I have grown up knowing this sweet family. You are all in our thoughts and prayers.